On February 9, the 2018 Winter Olympics will begin in South Korea and snowboarding will once again be on our TV screens. 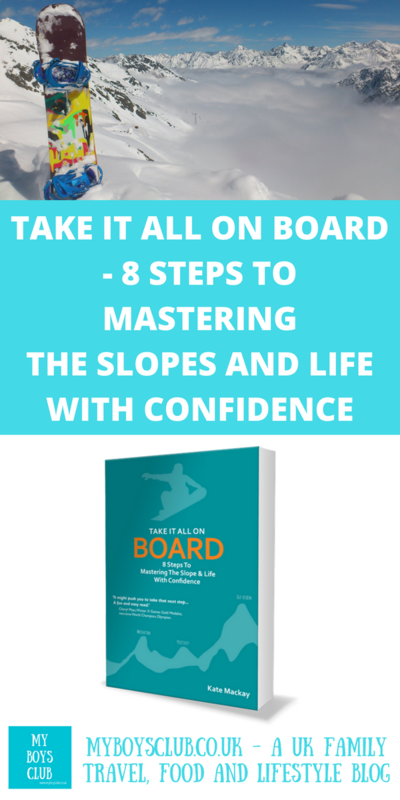 I've been lucky enough to be working with a female snowboarder, now 48, who is also a performance coach in her day job, and who has written her first book all about gaining confidence and includes 8 steps to mastering the slope & life with confidence. Snowboarding is perceived as a male-dominated extreme sport for young people but Kate a blogger, mum, guest lecturer and NHS management consultant didn’t take up the sport until in her 30’s. Not only have I interviewed Kate all about her book but I've got a copy of it to giveaway to one of you lucky readers too. Ahead of the Winter Olympics, this new book includes plenty of advice for the novice snowboarder but also a structured approach to help the reader achieve their goals in life, whatever they may be. It has evolved from Kate’s experiences of snowboarding and her desire to help people achieve more than they thought possible. First and foremost I love snowboarding. It’s become a great passion of mine but it certainly wasn’t easy to master. A bit like life in general, you have to work hard to succeed but I found so many similarities between my life on the slopes and in my career, helping people in their personal development, that I decided to bring the two together. There are 8 chapters, all set in different European locations, with different people, and focusses on different steps in the process. Each chapter also has technical, and confidence, tips. Really, it is all about taking people out of their comfort zone, whilst maintaining their confidence, to learn about themselves – whether that’s on the slopes or in their usual life. It was my partner who introduced me to snowboarding. It’s not something I’d ever considered before I met him. In fact, I didn’t know a lot about snowboarding, and I was quite old as a newbie. I was already in my thirties, but I grew to love it, and now it is one of my great passions. I didn’t find it easy at first and needed to seek professional instruction to master snowboarding technique. 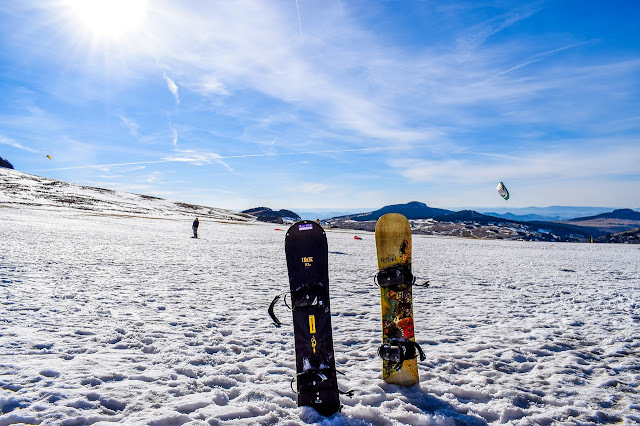 I’ve included a glossary of snowboarding terms too and these are things you are likely to hear quite a lot of this year with the Winter Olympics in South Korea looming. Really it is a book that is applicable to anyone who wants to learn something about themselves, to challenge themselves or indeed wants to learn about snowboarding. But when I was writing the book, the readers I had in mind were women of all ages but women who were driven, career-focused, who are self-starters and self-motivated, but would also be adventurous and like to explore new things. Why did you decide to donate 10% of your profits to Snow-Camp? Snow-Camp is the UK’s only registered charity using a unique combination of snow sports, life-skills and vocational opportunities to support inner-city young people. 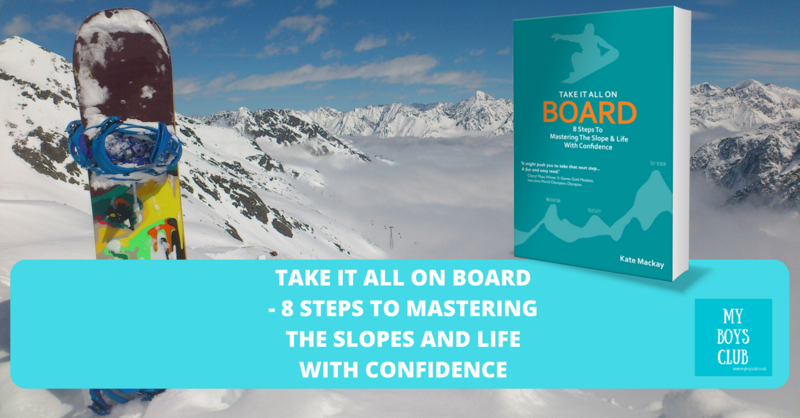 “This book brings together two of my biggest passions – snowboarding and helping people to achieve success. Snowboarding has taught me valuable lessons and I want the book to support those who read it. But I would also like to offer wider support to others and donating 10% of the profits to Snow-Camp which has achieved some amazing results for young people, seemed the obvious way to do this. How can Take It All On Board help? There are a series of exercises at the end of each chapter to aid self-awareness and self-development, along with a scoring system to help the reader assess progress in a measurable way. The book has eight chapters, each focussing on a different place from Chamonix to Andorra, and Davos to the Dolomites and also introduces different people. In the book, we also meet some of the brightest names in British snowboarding with whom Kate has shredded including Jenny Jones (Olympic slopestyle medalist). Or from whom she has mastered her craft over the years including Ben Kinnear (GB Junior Team coach), Neil McNab (winner of eleven British Snowboard Championships and internationally recognized backcountry expert), Ash Newnes (resident coach on Channel 4’s ‘The Jump’) and Tammy Esten (founder of Mint Snowboarding and winner of the Telegraph Ski & Snowboard magazine’s World Snow Award for Best Snowsports School). 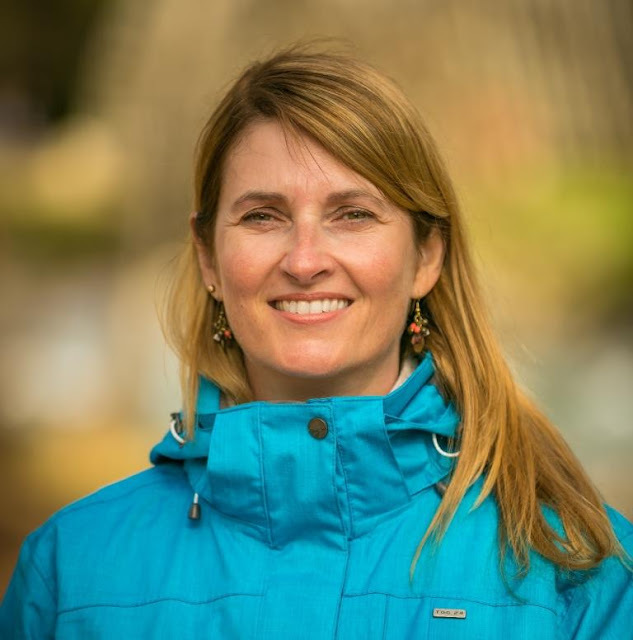 Kate Mackay has written academically, publishing a number of articles in peer-reviewed journals. She wrote a Research Guide, published by North Derbyshire Health Authority, during her years as an NHS researcher that sold several hundred copies both nationally and internationally to health and academic institutions. She has ridden a camel in the Sahara, an elephant in Rajasthan and a horse in The Rockies before she ever rode a snowboard. Kate Mackay is an older woman in a young man’s world. 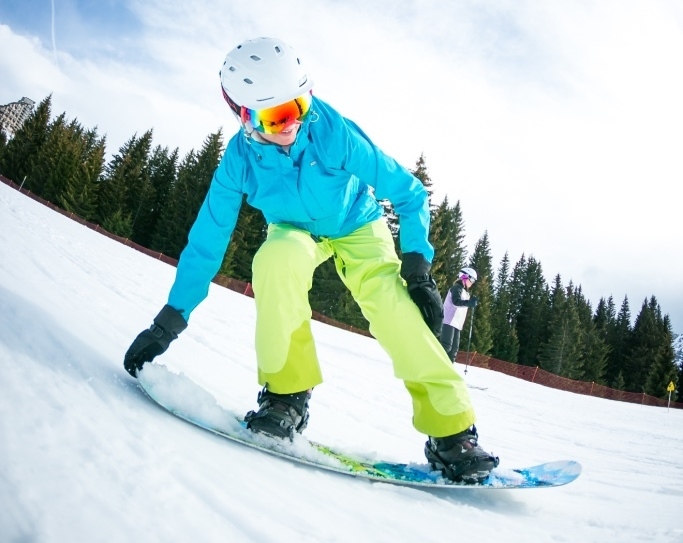 As a Certified Performance Coach, she has taken her passion for the extreme sport of snowboarding (she is a trainee BASI instructor) and applied it to her knowledge gained in the NHS. Now a management consultant and guest lecturer at the University of Bradford, she has trained more than a thousand health professionals in various change techniques and has created a unique confidence programme, tailored for all women seeking greater self-esteem. 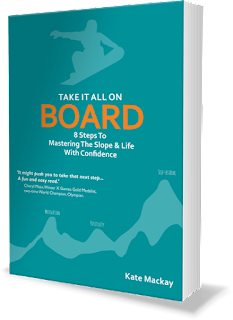 An established writer of the UK’s only blog to focus on snowboarding for women and families – Mummy Snowboarder – this is her first published book, Take It All On Board: 8 Steps To Mastering The Slope & Life With Confidence. 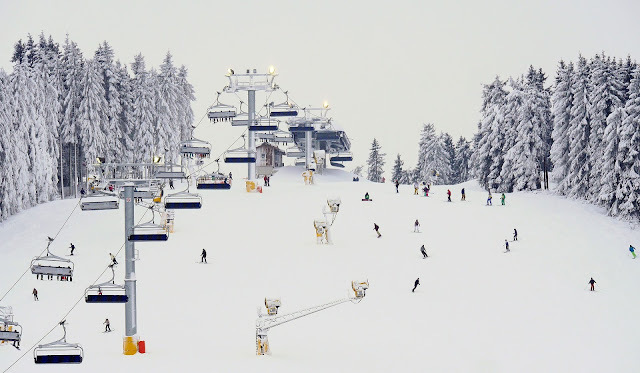 Kate takes us on her journey through European resorts and UK indoor snow slopes as she carves her own path through failures and uncertainty to success, joy and self-esteem in the most unlikely of pursuits for a British mother. 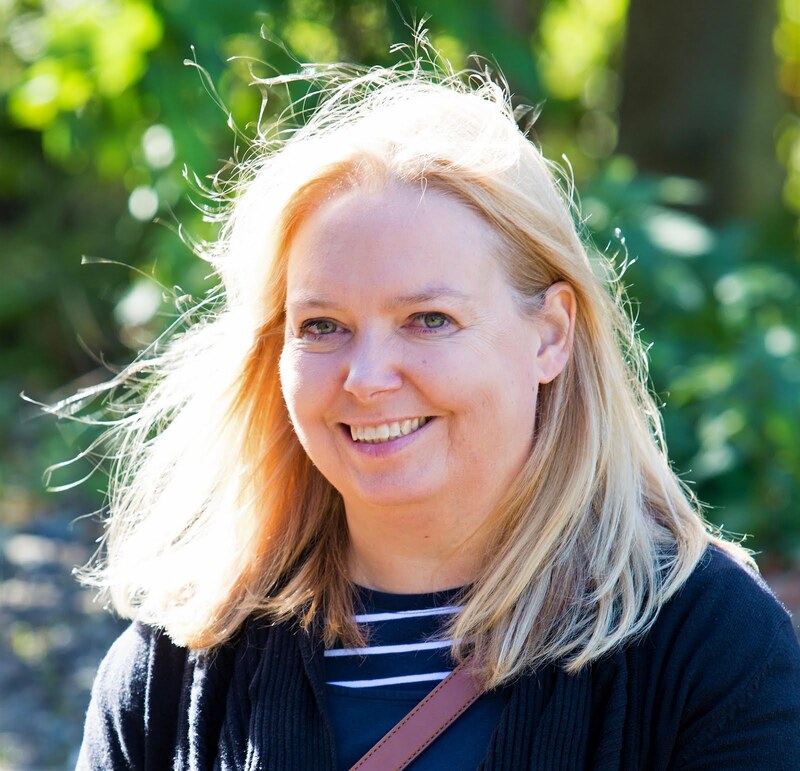 Kate is 48 years-old and lives near Newcastle in the North East of England with her husband Gordon, eleven-year-old daughter, an aged cat and her beloved, shaggy dog. 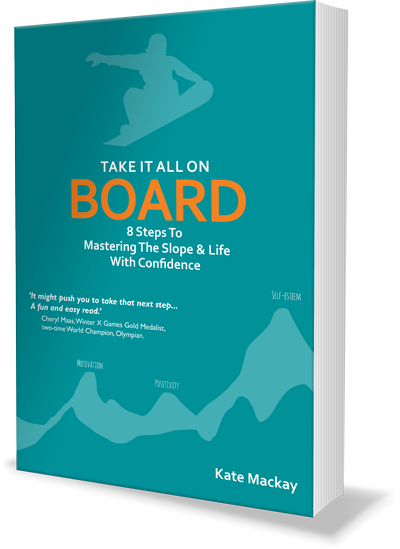 Take It All On Board is available in both hard copy and a from TakeItAllOnBoard.com and also as an e-book via this affiliate link Buy Now From Amazon. Snowboarding was invented in the 1960s. It’s a winter sport that uses a board attached to rider's feet to travel down a slope. People originally rode ‘snurfers’; a board with a leash attached which evolved into today’s snowboards. Snowboarding was banned from many resorts in the early days of the sport and there are still a handful of resorts in the USA that still do so. After initially being considered a dangerous past-time and a teenage fad, snowboarding was officially accepted into the Olympic Winter Games in 1998. There are now 10 Olympic Snowboarding Events and Big Air will be introduced for the first time this year, in South Korea. 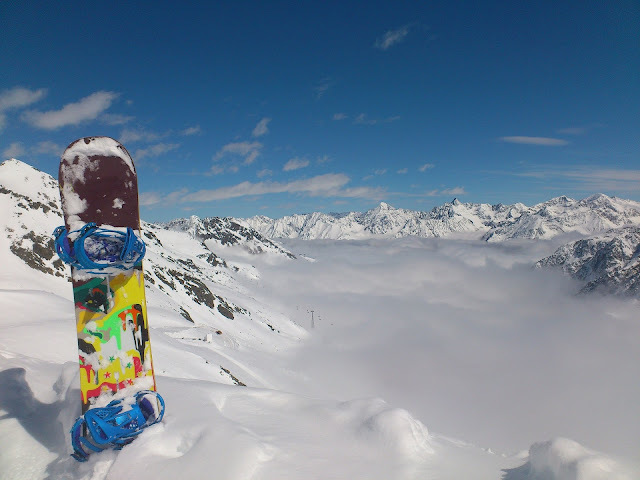 Snowboarding culture is more akin to that of surfing and skateboarding than skiing. You are left-footed or right-footed as a snowboarder. Regular means you snowboard leading with your left foot forward and Goofy means you snowboard leading with your right foot forward. Snowboarders are typically male and young - 63 percent of snowboarders are male and only 37 percent female, with riders aged 18-24 representing almost one-quarter of all shredders on the slopes (Snow Sports Fact Sheet, Snowsports Industries America, 2015). Snowboarding isn’t just about going down hills. Much like skateboarding, snowboarding can also be considered a trick sport. Many riders grind off rails, slide over boxes and fly off kickers (jumps) in a designated snowpark. I really enjoyed reading this book. I've been working alongside Kate helping her to launch this book. It's also the first time I've been thanked in a book's acknowledgements too! However, by reading the book I have learnt so much more about Kate. She is so honest in her writing, about the good times and the bad, and that it is really inspiring. It's also a page-turner in that it is like having a chat and coffee with someone you know, but that you are also learning from, and it actually hard to put down. I really would recommend reading it. Not sure if I will be venturing out on to the slopes but I will be implementing some of her confidence tips in life. Watch out world! How have you challenged yourself? Have you tried snowboarding? Disclosure: I have been working with Kate to launch her book but this blog has been written because I really like the book, not because I am contracted to in any way.